High Country Plastics Pole Bending Bases. Free Shipping - Set of 6 AQHA approved bases that are made in the USA and come with a 3 year warranty. Pole bending race is a time based event in which six poles are set in a pattern. The horse and rider is supposed to ride through that pattern without colliding with the poles. The poles are attached with the bases to hold them straight and upright. Poles and bases forms the crucial part of the event as whole of the race revolves around them only. The event organizer cannot take any risk with the quality and size of the poles and bases. There are many things that are to be taken care of while choosing them for the final event. There are some guidelines set up by the AQHA and they are to be followed while buying such equipment. AQHA is a special authority that decides the specification of equipment’s used in such races. Pole Bases are used to make sure that the poles set up straight and upright throughout the race. Bases in which poles are set are hollow and they should be light weighted too. They should be made of superior quality plastic material so that in case the horse collides with the pole it should not cause any injury to the horse or rider. If you will be sure of quality you will also be sure that they can be used for longer time. They are set at distance of 6.4 m apart from each other. There are only six poles used in the final race event. They poles and bases should be light weight so that they can be easily carried to the place of event and can easily be removed once the event is over. This will reduce the stress of holding them and organizing them. It will also save the time of organizer. The Pole bases you decide should comply with the specification set up by the AQHA. The main purpose of setting the specifications is to ensure the safety of the horse and the rider. The most preferable height of the poles is 6 m. once you are sure of the specifications you will not have to face any legal problems in future related to the size of bases. There have been many incidents in which the bases were so strong that when the horse collided it injured them. So make sure that you choose the smooth poles and bases only. In order to be sure that the poles stand firmly they are filled up with the sand. When they are filled with the sand they will not fall even due to collusion. These above mentioned things are must to consider while buying such equipment’s for your race. They are also available in three pieces so that they are easy to store when they are not in use. The best thing is such equipment’s are now available online. You can search for them and see that if they comply well with your needs. If you are satisfied with the specifications and details you can place the order online. They will serve you at your door. So choice is all yours. Pole bending is a game in which poles are used. It is basically a time based event and a kind of race in which the main objective of the participant is to run the pattern in correct manner. The runner has to run as quickly as possible. The main strategy that is to be followed in this game is that none of the pole should get knocked down while running in the race. The horse must be properly trained to obey the rein and leg aids so as to get the best results. High quality poles should be used to ensure proper safety. They should be light weight so that they can easily be stored and restored before and after the race. Poles should be portable so that they can be easily carried from one place to another. They should be easy to install whenever needed. Bases with above features are easily available at Poles Bending Bases. These bases have customized designs that will serve all your needs of the hour. These poles are highly flexible and reliable so that little time is spent in installing them on the ground. There is need to follow some standards while manufacturing such bases. So you should buy them only when you are satisfied that all the guidelines are followed and you are provided with all the required specifications. The main function of these bases is to provide support to the poles so that they can stand upright. So in case the horse collides with the pole the base should be easy to detach from it. Apart from all these features the bases should be low enough so that it is not daunting task to fox the poles. So if you are looking for such bases for your race then you should completely rely on Poles Bending Bases for superior quality bases. While fixing the poles you should only choose AQHA approved bases to ensure the safety of your horse as well as the person handling it. There is hollow design of bases and a plug attached so that sand can be easily drained and filled before and after the usage. These bases are easily available in wide range. You can choose from them. Before finalizing the product it will be recommended to read the guidelines issues by AQHA. A little research might be a daunting task for you but at the end it is worth your time and money. The pole base of bad quality can turn out to be spoiling spot for your event so choose it wisely. Do have any idea about the accessories that have been approved by the AQHA? There is a wide variety of such equipment available in the market that is offered by many companies. A large number of companies are involved in the manufacturing of such pole bending bases. Have you ever been through the guidelines that are mentioned by the associations being approved by AQHA? Plastic bending bases are considered the high quality structures that are precisely used at some specific places, including sport grounds, racing grounds, gymkhanas, and track roads and many other areas. The plastic AQHA Approved Bases are available in many different sizes, shapes, colors and designs. If you get deep into the features of such pole bases, you will see that they are made hollow in design. Not only this, these poles have light weighted and featured with durability, reliability, and flexibility. The best part is that they are so flexible so that can be installed using simple ways. Not only this, they have many other properties as well, such as easy portability, mobility and so on. Undoubtedly, these poles are easily customizable that they can be redesigned in number of ways. The bending bases have great importance when it comes to installing in the race fields. They are highly durable in nature so that can be used easily at all surfaces. Not only this, even horses bend their entire body according to the length and width of the plastic poles being installed in their racing grounds. It is highly important that these poles are made of high quality fabric so that riders can also get full support throughout their races. There are so any materials being used for the manufacturing of these poles, such as plastic, metal, AQHA approved metals, and other reliable materials. If you look out for the details regarding the uses of such poles, you will notice its foremost importance in the play grounds only. These bases are most commonly used to keep the poles straight in an organized line during the races. They act as a direction arrows for the horse riders while running in the fields. The entire collection of Pole Bending Bases is of great quality in order to provide support to the already existing poles that are being installed in the grounds. Thus, it has become an important task to review the quality of these bases before you made a decision of installing them in the grounds. In addition to the feature of flexibility and durability, the bending bases are strong enough to safeguard the riders during their ride. So what are you waiting for? The internet is full of such accessories and will help you make better choices. 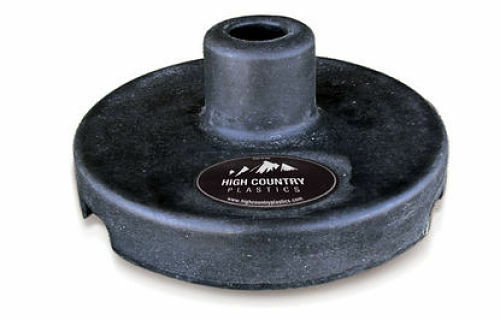 You will be happy to know that so many vendors have indulged in the business of selling such bases. Make sure that you search carefully over the web in order to make reasonable purchases. Get ready to grab the details carefully and accordingly try to fix them after reading the given instructions. Have you ever come across the items that are AQHA approved, such as bending bases and many others? Are you aware of the guidelines and certain set of rules given by AQHA approved associations? If not, then not to worry because here you will get the detailed information about the same. These are high quality pole plastic bending bases that are specifically used at various places, such as gymkhanas, grounds, and track roads and so on. The plastic pole bases are hollow in design and so light weighted that they can easily be installed whenever needed. Not only this, they are also portable and can be carried easily from one place to another. It is a true fact that Pole Bending Bases have customized designs that can be molded as per the need of the hour. These bending bases are highly flexible, durable and reliable that you can easily use them at the time of setting up the poles in the horse race track grounds. There are certain numbers of guidelines that need to be considered while manufacturing and setting up of these bending bases. These bases are mainly used to keep the poles upright so that they can provide support to the required poles. Thus, these bases need to be flexible enough in order to release the pole in case if a horse collides with the pole. Not only should this, apart from the flexibility feature, the bending base be low enough so that it won't become a tripping hazard while fixing the poles. It is important that all these bases should have to be smooth enough so that they would not present a health threat to the horses' lower legs as well as to the hooves. The installation of poles requires a fixed set of steps while performing the procedure. It consists of so many rigid ways that have to be performed in the serial order. 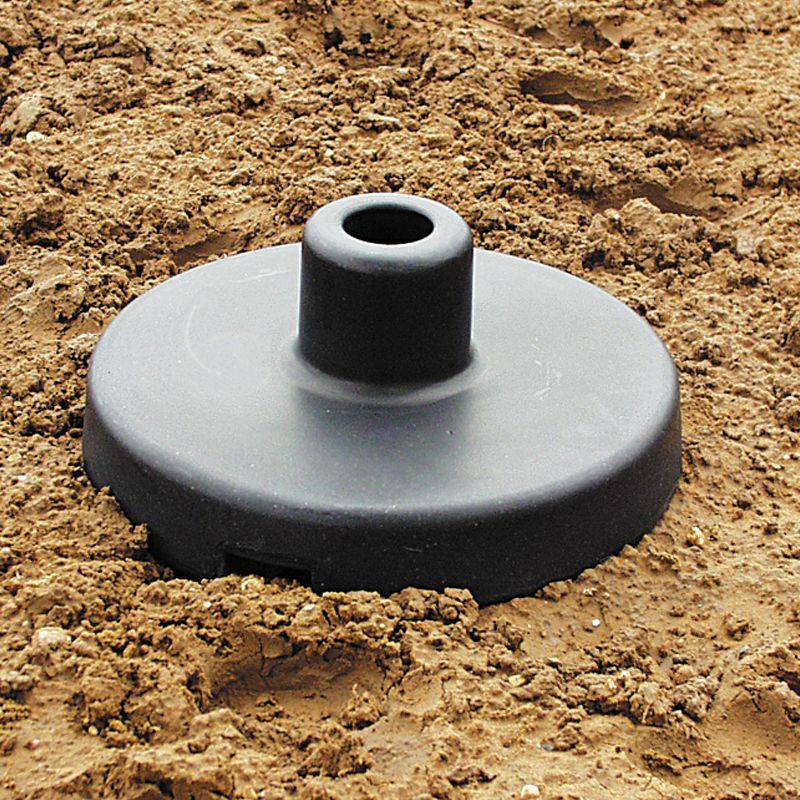 While fixing the poles using AQHA Approved Bases, you need to purchase rubber feed pans in order to proceed further with the process. 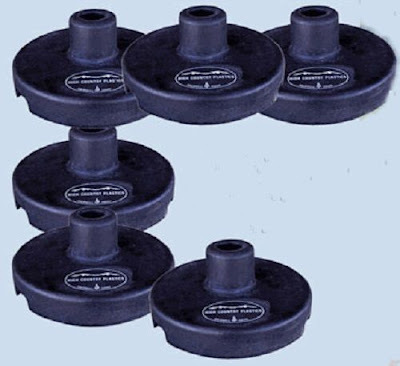 Make sure that you select only those bases that are surely made of flexible rubber so that it can be drilled easily without any hassle. Flexibility is required so that it can be drilled easily and will not shatter even if in case of impacted by a running horse's hoof. Once you are done with this specific step, you need to proceed further with the other steps, such as drilling, threading the knot and so on. Afterwards, you need to drill a hole in the center bottom of each pan followed by a specific diameter of the hole. It is important to note that you drill two holes in the sidewall so that the holes can be handled easily. Make sure that you perform the installation procedure properly according to the given steps and in specified order. For more detailed information, you can also surf via online sources over the internet. Grab the details properly and accordingly try to install the poles as per the given instructions. Pole bending is basically a time based event that involves a horse and a mounted rider who is supposed to run across the path of six poles arranged in the straight line. Poles are one of the most crucial parts of this event and the pattern of poles is fixed in straight line. There can be any number of poles used for the practice session but in the final race only 6 poles are used set in the straight line. There are set at a distance of 6.4 m apart. There are many things that should be taken care of before finalizing the one for your event. There is association called American quarter horse association that approves these bases so make sure you are using the one approved by this association. There are specific rules for the Pole Bending Bases to be used in the events. You should be aware of them and choose the final poles satisfying these rules so that you don’t have to face any problems regarding them in future. These poles are set on the top of the ground in their bases. Poles should be made up of good quality plastic and they should also be light in weight so that they are easy to lift and carry to any place. Height of the base is usually ignored but the height of poles must be kept in while buying them. The most preferred height is 6 feet. Another thing that you must consider while buying the Pole Bending Bases is safety. There have been many incidents where some really dangerous made bases and poles have caused serious injuries to the horse rider. Check the poles carefully and also their bases and then only but them. They should be able to be set firmly at the place of the event. Poles should be filled with sand so that they stand firmly in the ground. There are many poles that allow the pole to bend when hit and then spring back. These kinds of poles are dangerous. These things should be taken care of while buying the Pole Bending Base. The poles you choose should directly fit on the base so that there is no risk of bending. There is also three piece design available so that they are easy to store when they are not in use. They should not scatter or break down when they are being stepped on by mistake it means they should be durable. Once you are satisfied with the specification of the poles you can buy them. You can also place the online order and you will be served at your door. You will be provided best quality product so that your event is not ruined. Before making the final decision you can also read the related articles online; this will help you in making the better decision. Choose the best one for your event so that no injury is caused to the horse rider. They are also available in many colors.